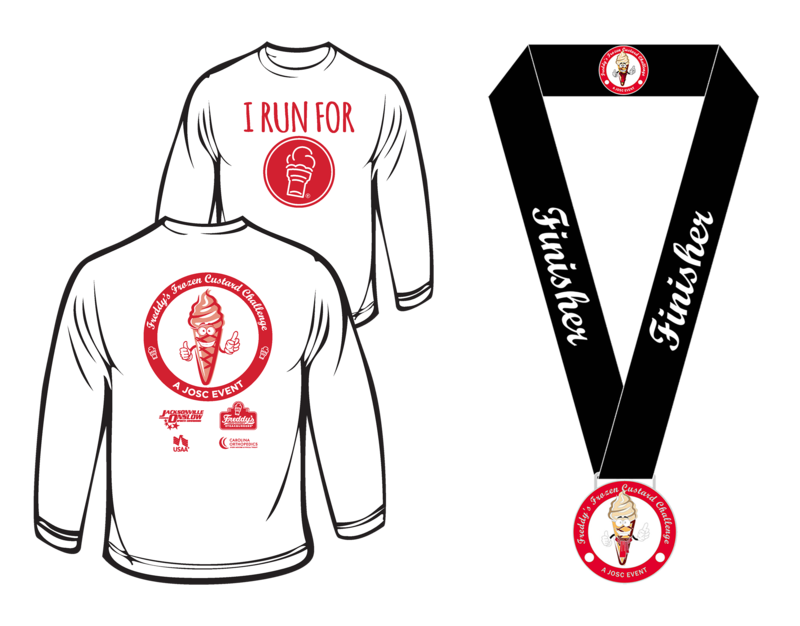 Freddy’s Frozen Custard Challenge – November 3, 2018 | NC Race Timing and Running Events | Go Time! Love Freddy’s Frozen Custard? Sign up today to take the Freddy’s Frozen Custard Challenge or sign up for the 5k! For you challengers, run the flat course around the Commons Loop and then head into a nature trail filled with frozen custard and a few challenges along the way. 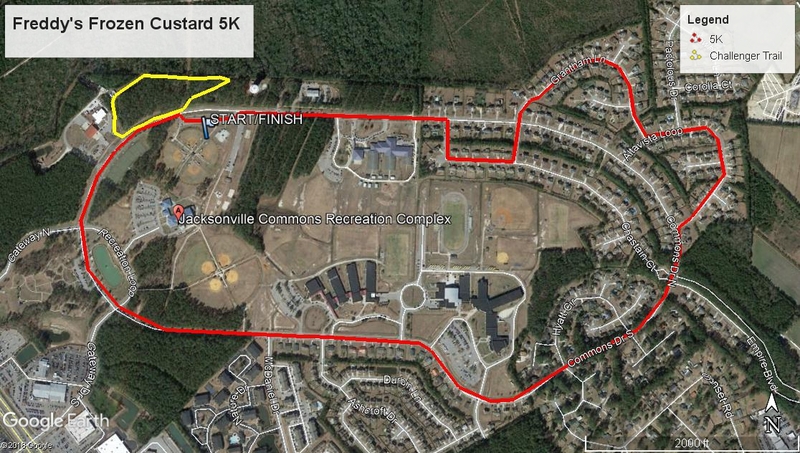 For 5k runners, run the flat course around the Commons Loop and then enjoy some frozen custard at the finish line. Don’t forget about the CASH PRIZES for Top Female, Top Male and Top Team (limit four people). There will also be vendors, DJ and frozen custard bar for everyone to enjoy! The Jacksonville-Onslow Sports Commission is committed to fostering economic development and quality of life through sports in Jacksonville and Onslow County, North Carolina. Race Shirts will be guaranteed in the size requested to participants who register by 11:59pm on Wednesday, October 10, 2018 . The shirts are available in Adult Unisex S-XXL cut sizes, and are a long-sleeve Dri-Fit/Sport Tek material. Be sure to claim your shirt today by registering! BLANKER: All ADULT 5K CHALLENGERS will receive a Logo Blanket! Run the Commons loop starting and ending at the skate park. Run the Commons Loop and then enter the challenge course trail, eat custard, complete challenges and then eat more custard! FREE parking will be available at the Commons baseball fields and skate park. HEAD TO FREDDY’S FOR A SPECIAL DISCOUNT COUPON!